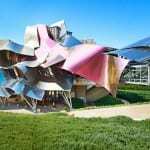 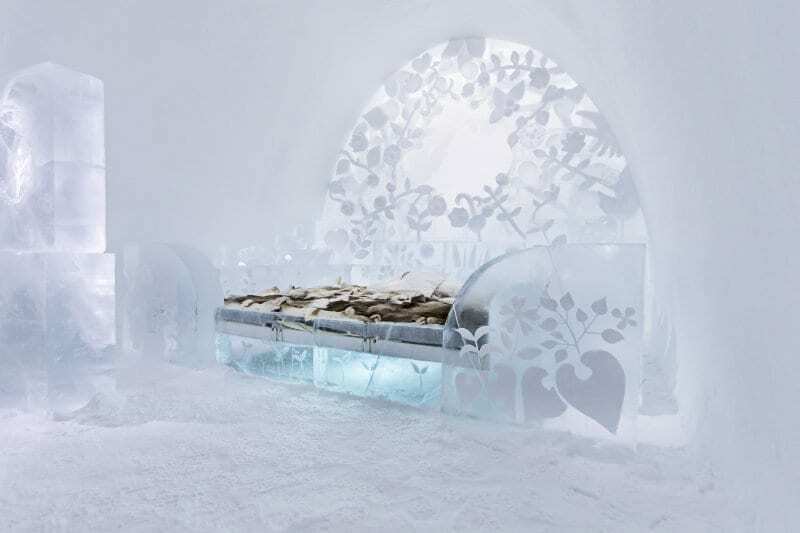 Do you want to see something novel? 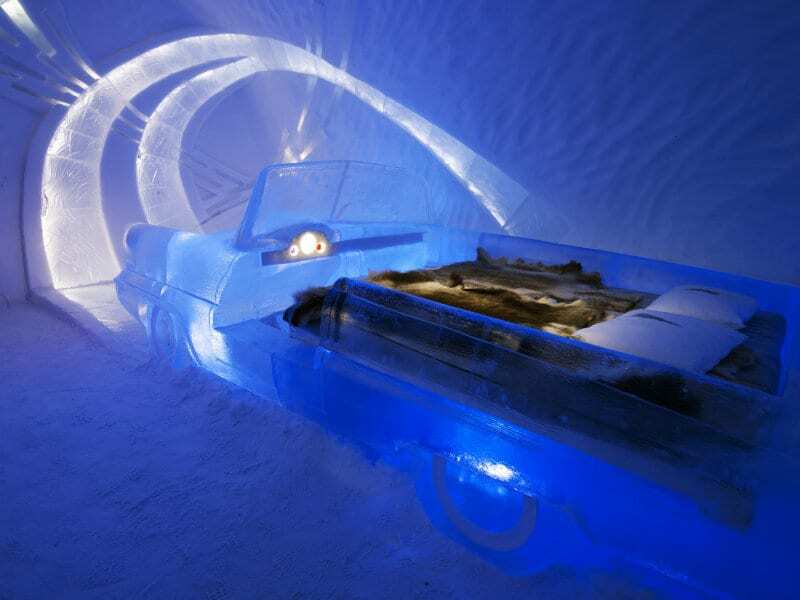 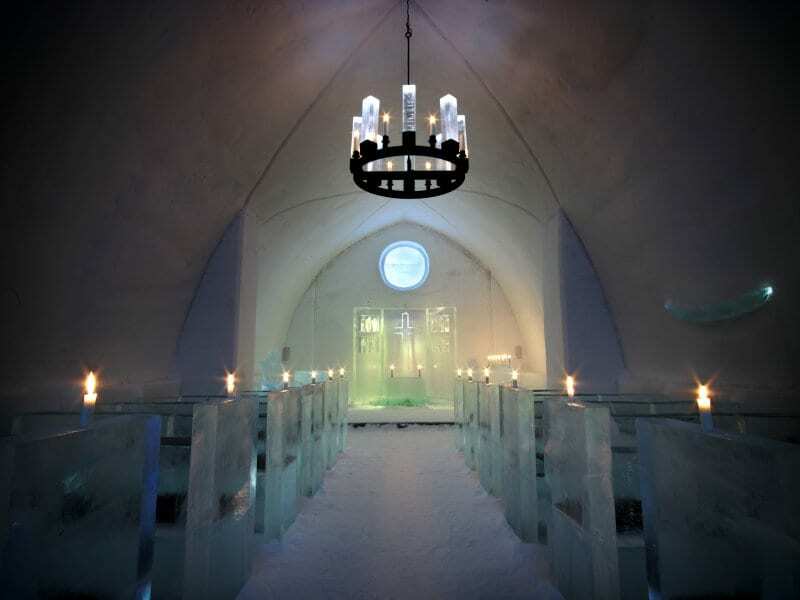 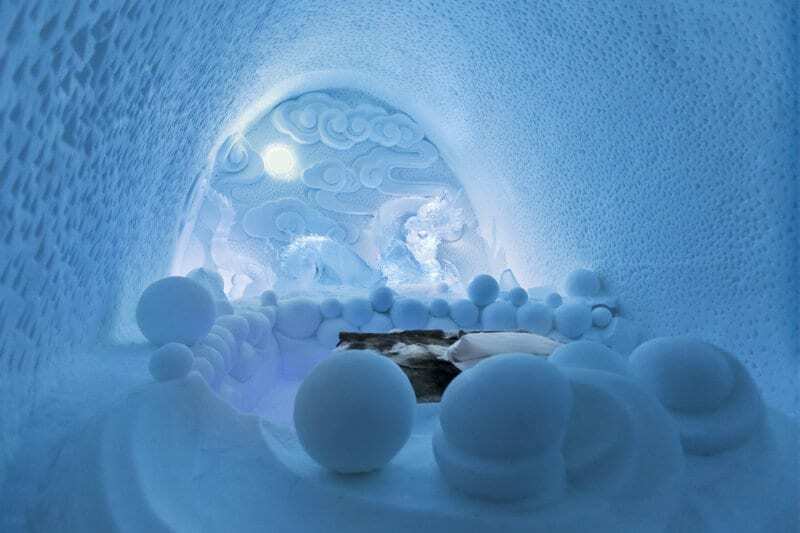 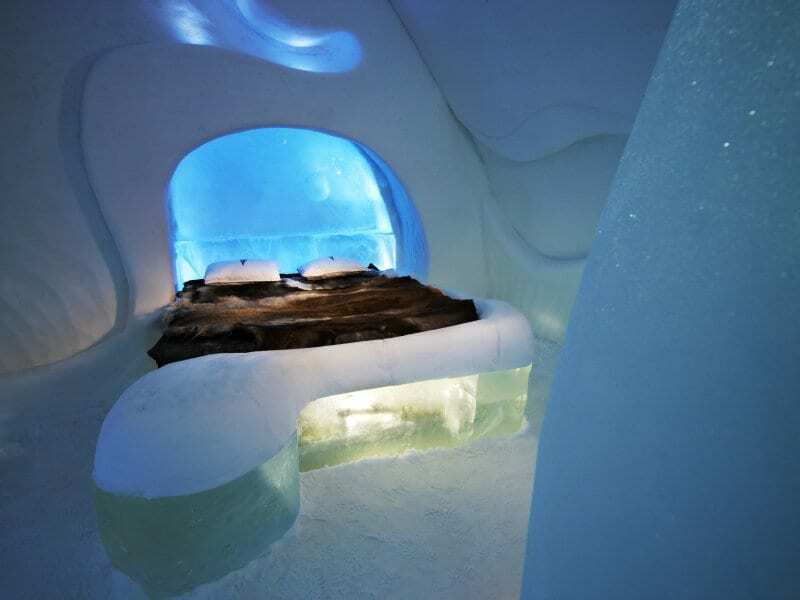 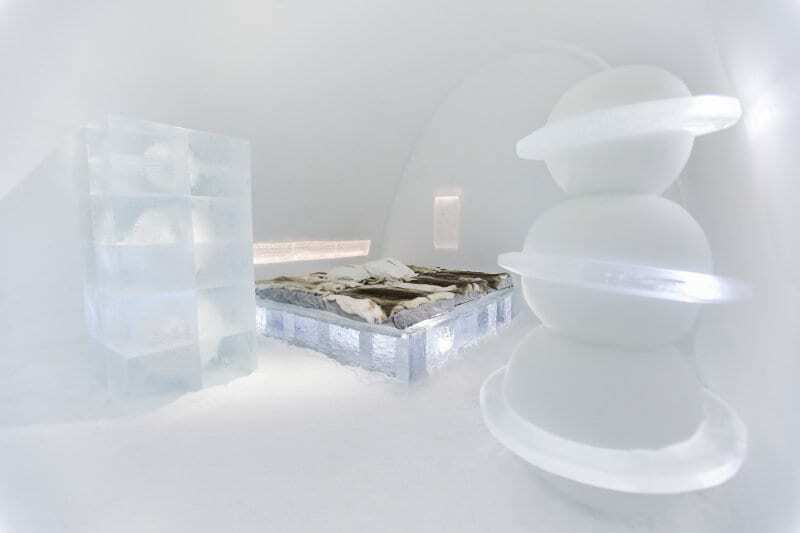 ICEHOTEL is a hotel built of ice and snow and it looks so … cool! 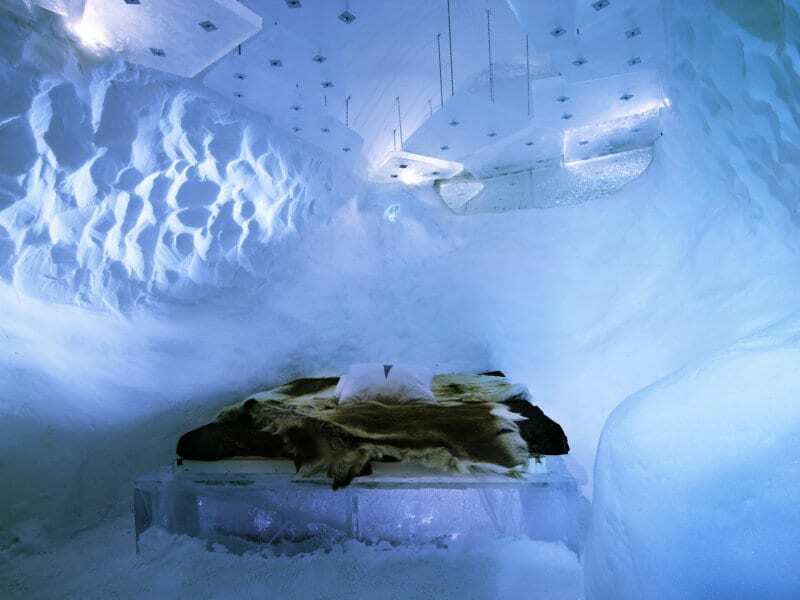 ICEHOTEL is located in the small village Jukkasjärvi, 200 km above the Arctic Circle but only 15 km from Kiruna Airport (KRN) and 17 km from Kiruna train station. 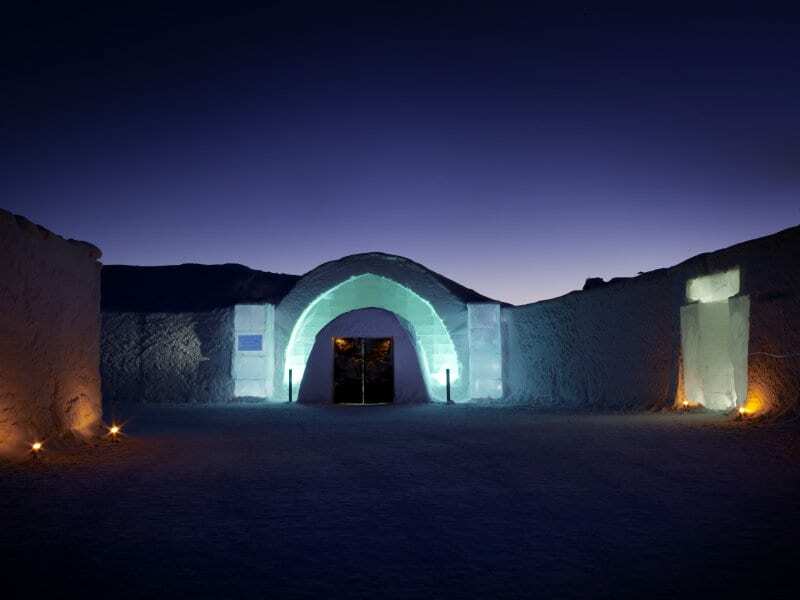 Each year, visitors from all over the world arrive to a little village in Lapland, 200 km north of the Arctic Circle. 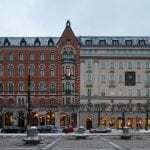 Many of them goes further north, explore the high mountains, all the way to the northern Norway to visit the fjords. 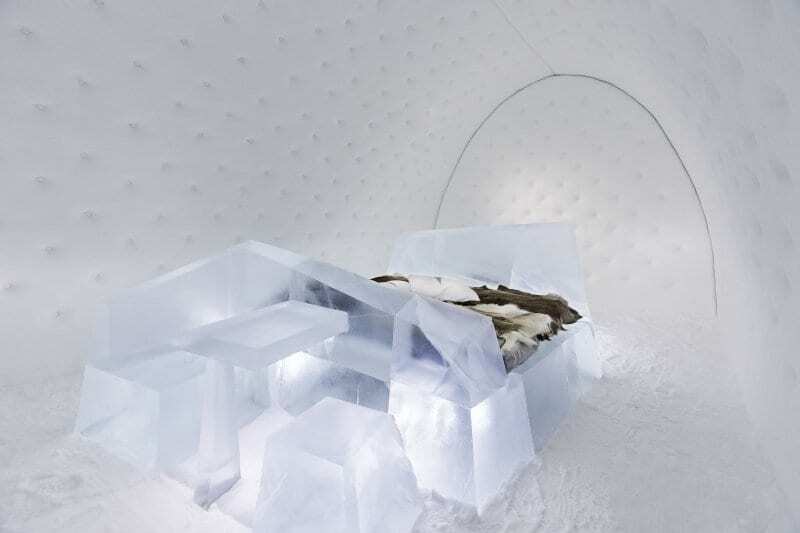 You can experience the sensation of ICEHOTEL even during summer (June 8-August 25). 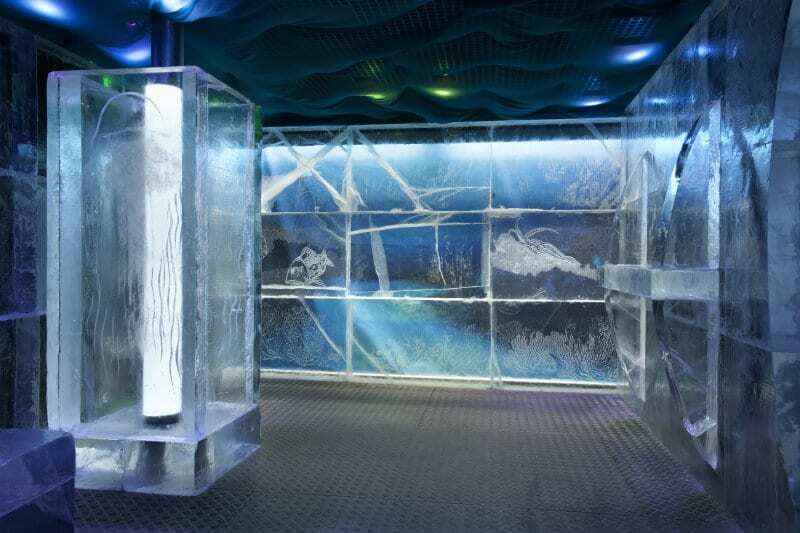 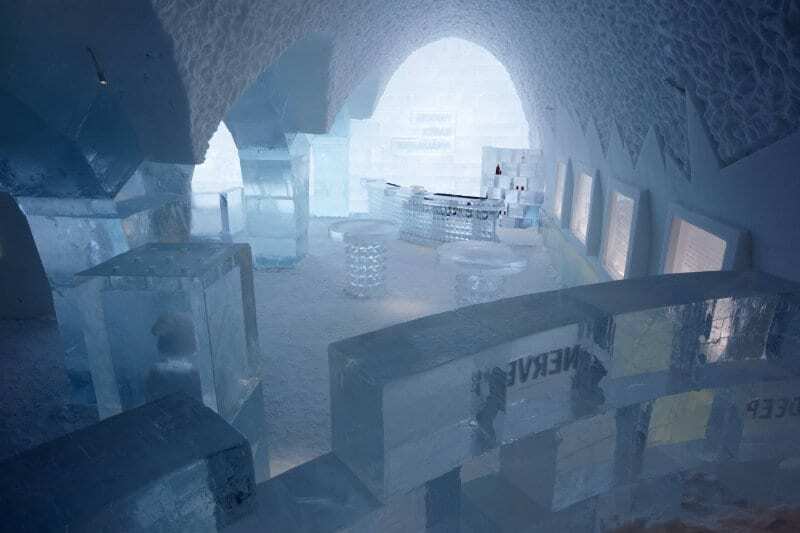 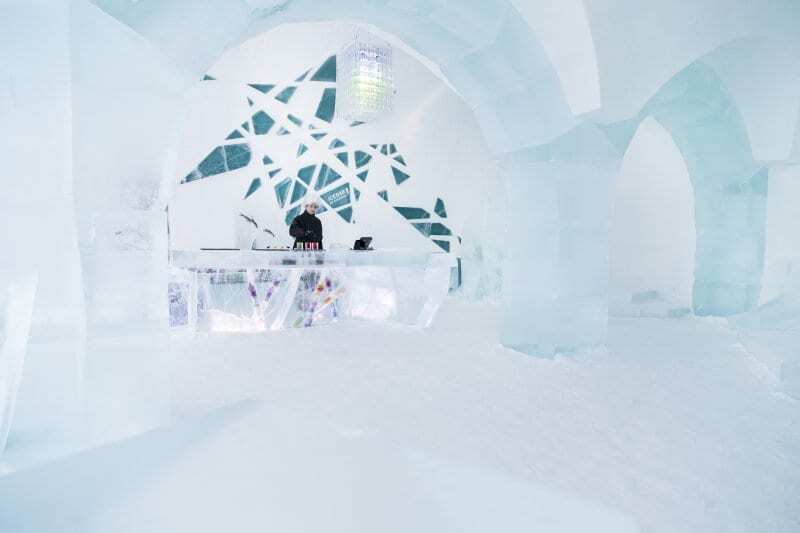 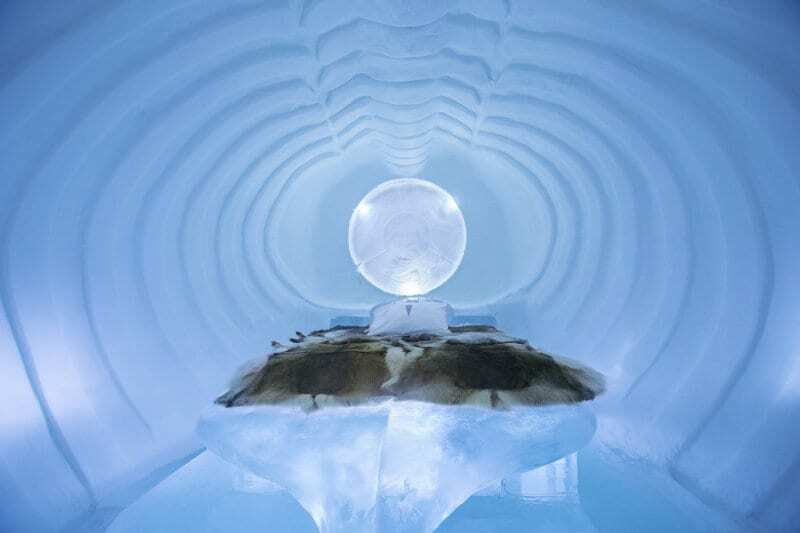 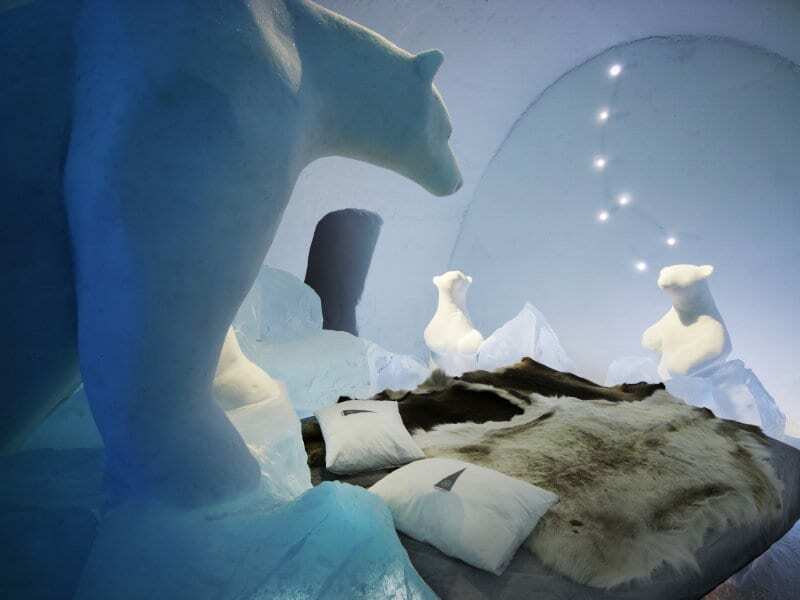 In a freeze house a 120 square meters you’ll find a summer version of ICEHOTEL with two art suites, an ICEBAR by ICEHOTEL and place for guests to try ice sculpting. 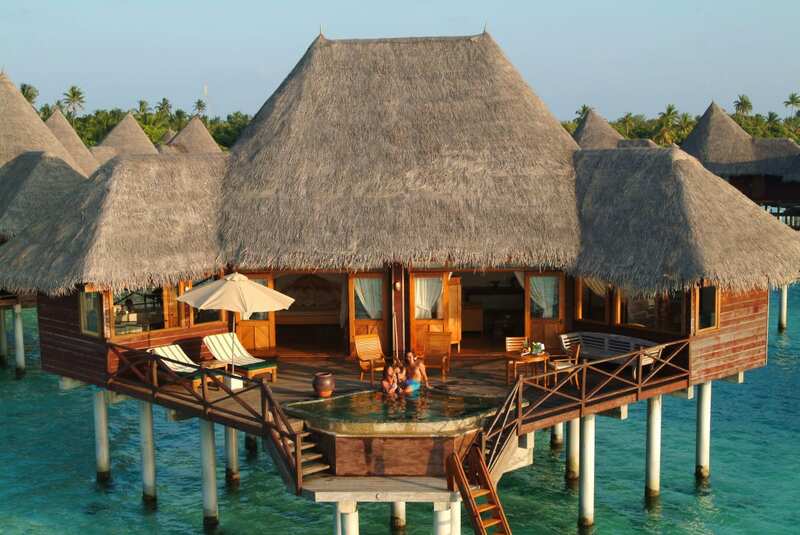 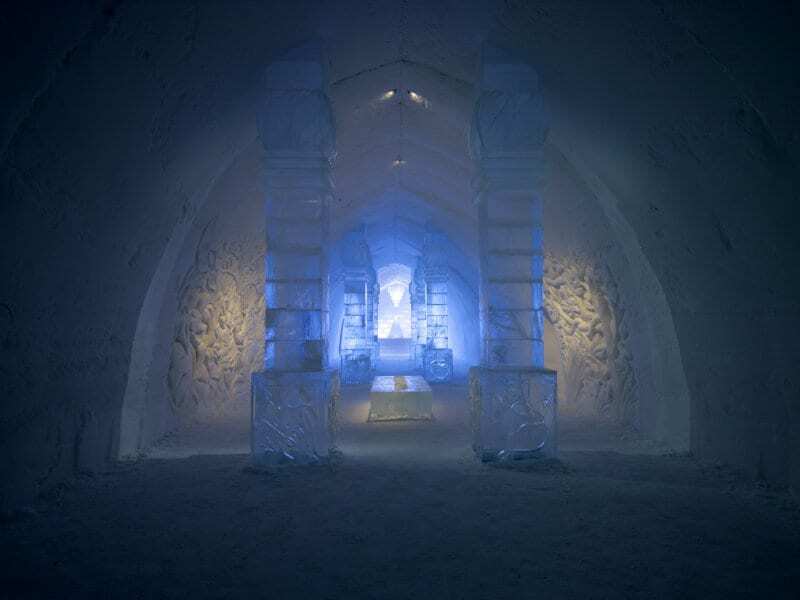 But for full experience you should go in the winter time. 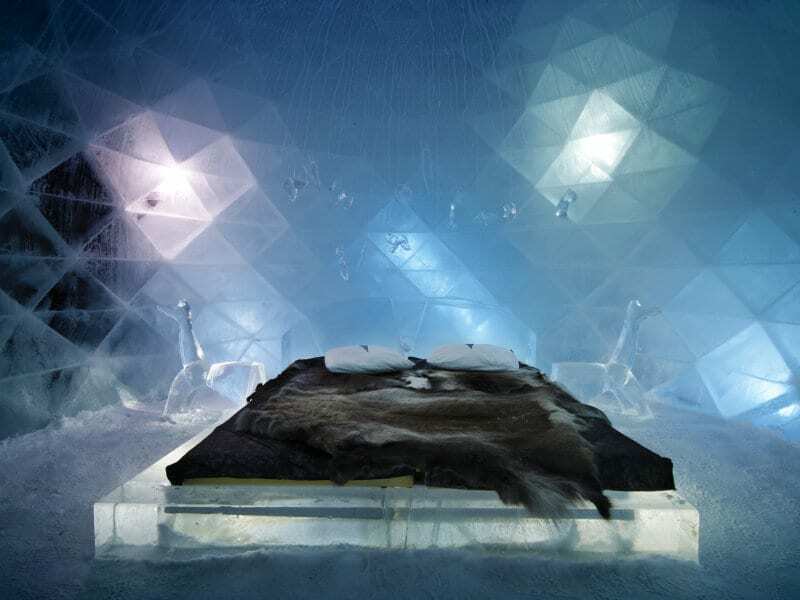 You sleep in a thermal sleeping bag on a bed built by ice blocks, a wooden frame, mattress and it is topped with reindeer skins. 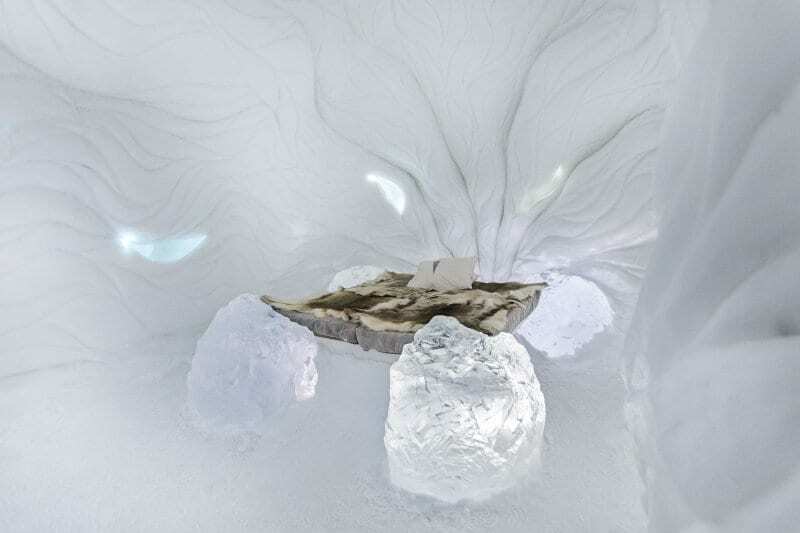 Surrounded by art work made of ice and snow, by artists from all over the world. 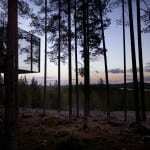 In the morning you will be awakened with a cup of hot lingonberry juice. 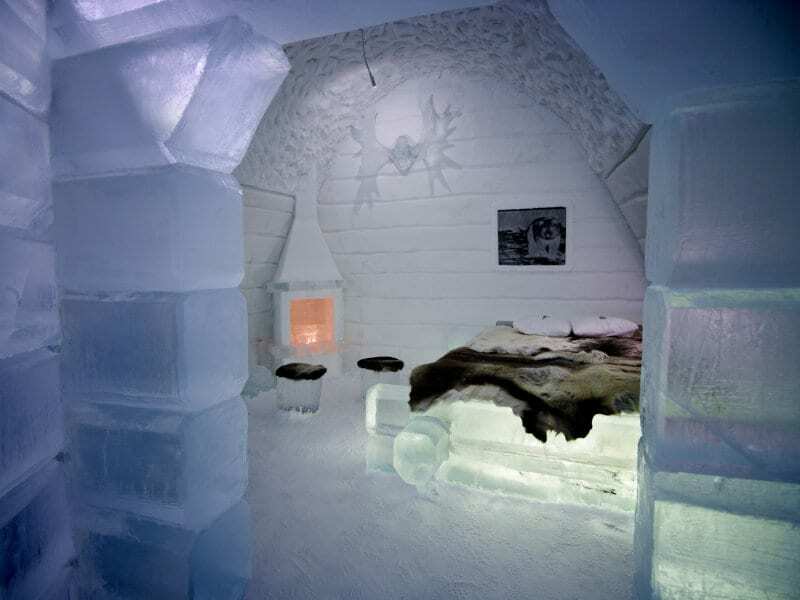 In ICEHOTEL it never gets colder than –5 to -8ºC, regardless of the fact that the outdoor temperature sometimes drops down to -30º. 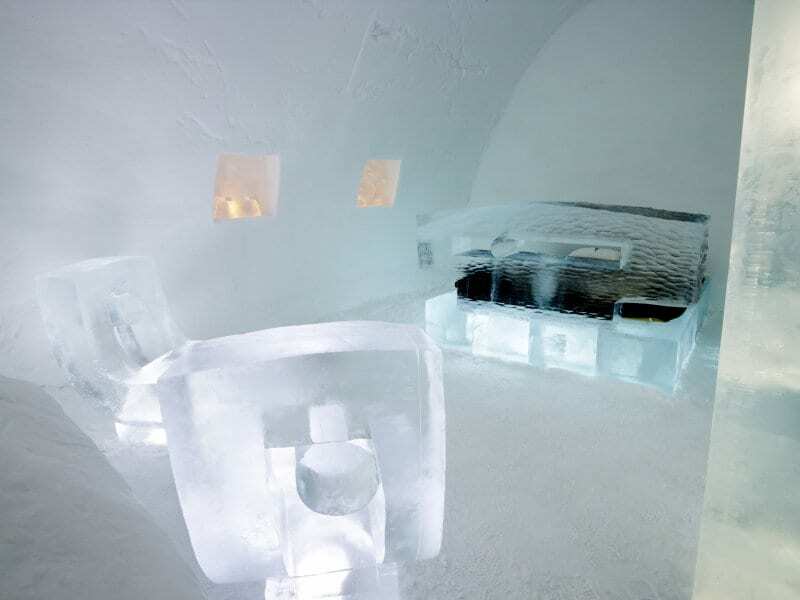 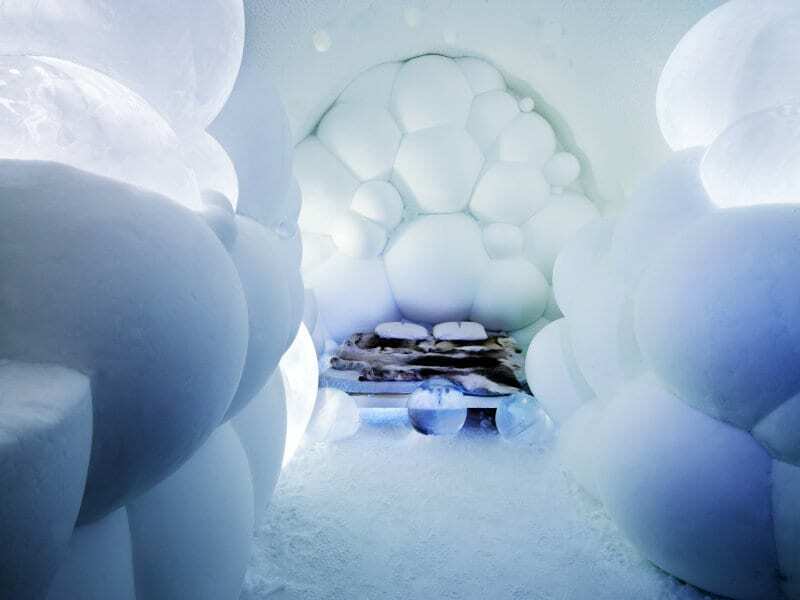 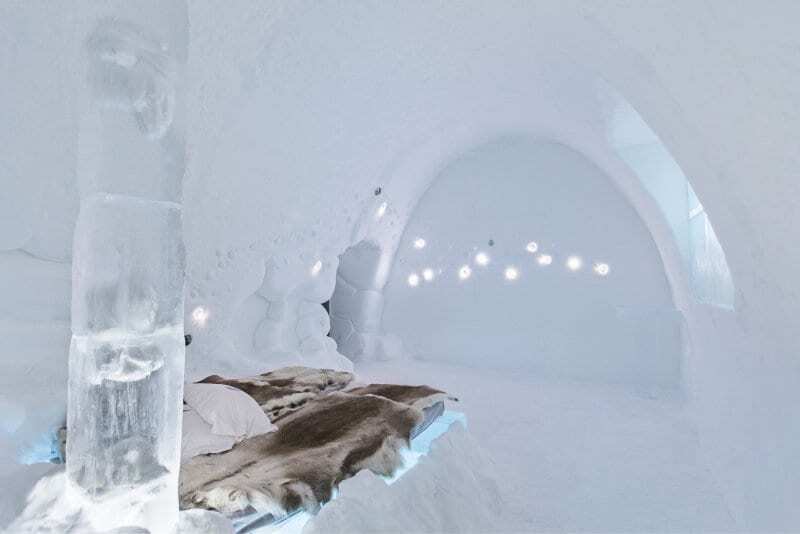 Between 10am and 6pm ICEHOTEL is open for the public after closing it doors, it’s only available for guests. 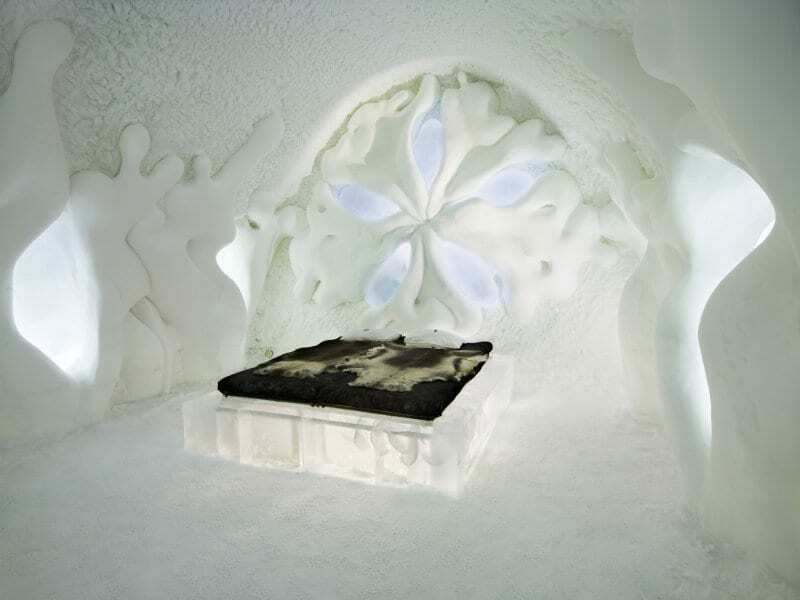 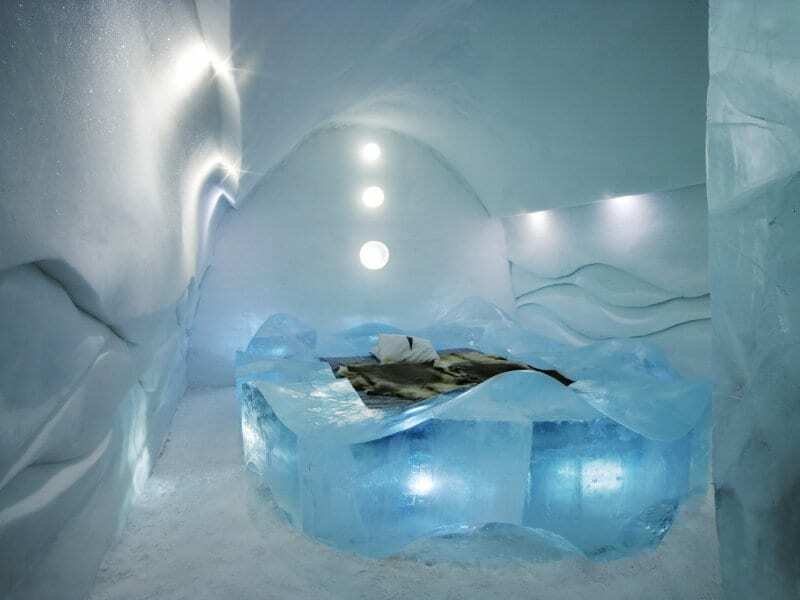 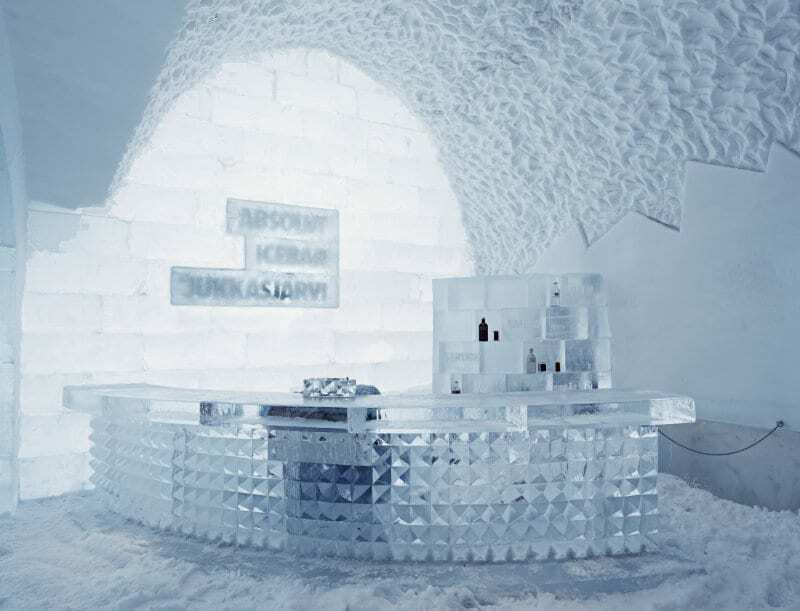 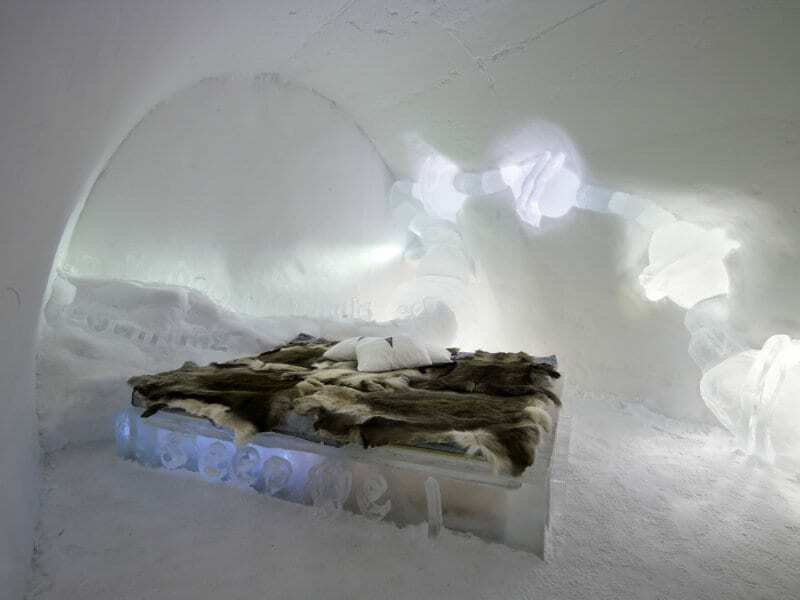 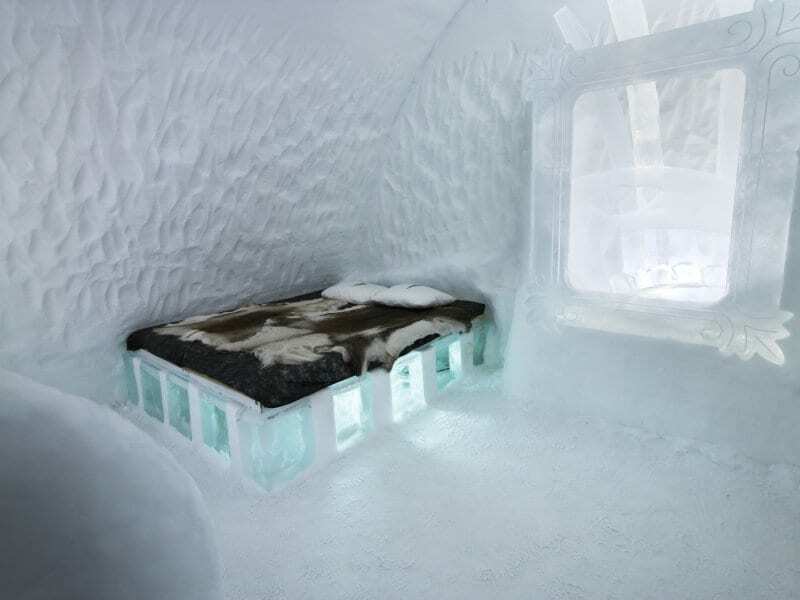 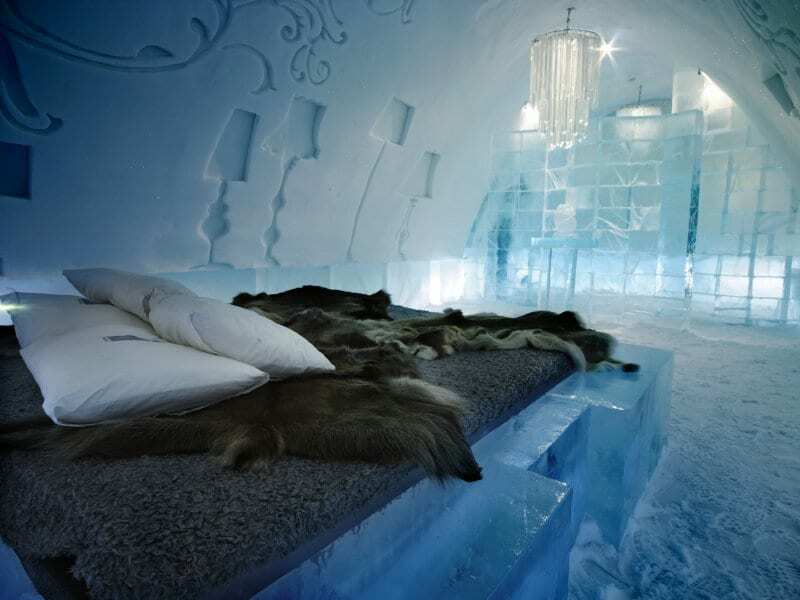 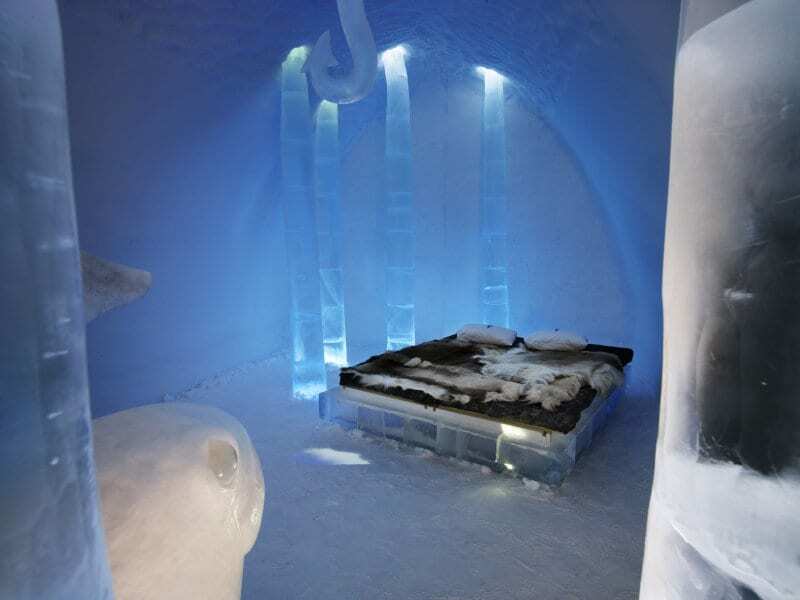 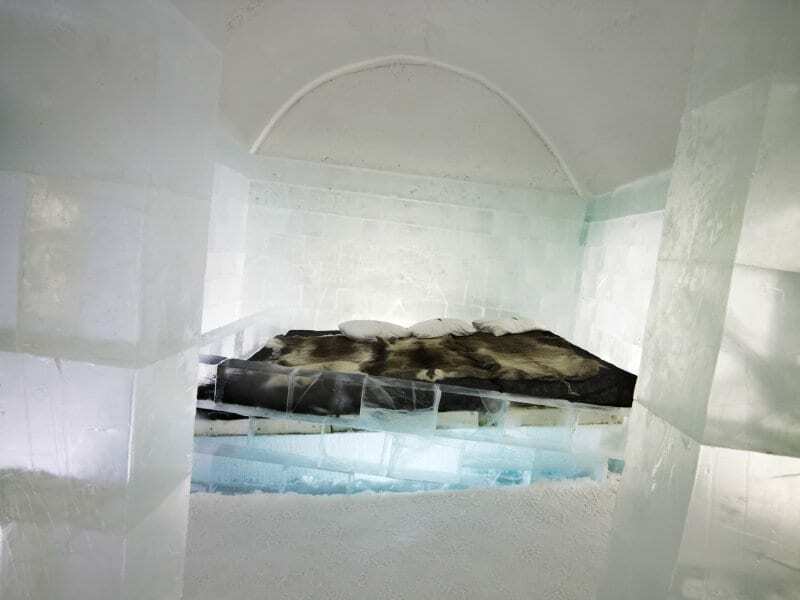 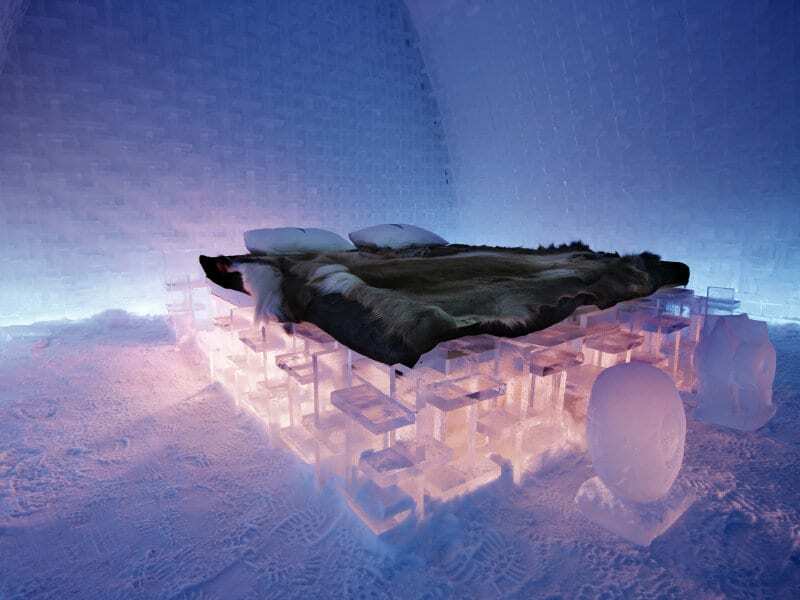 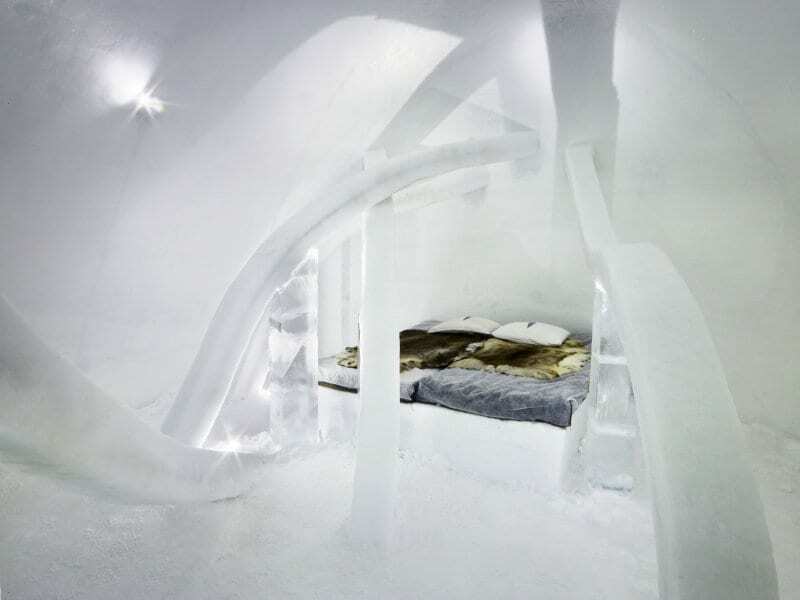 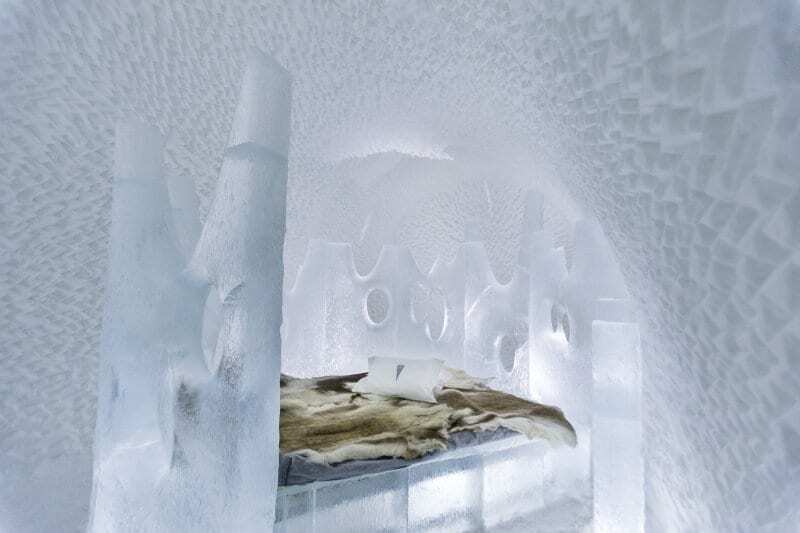 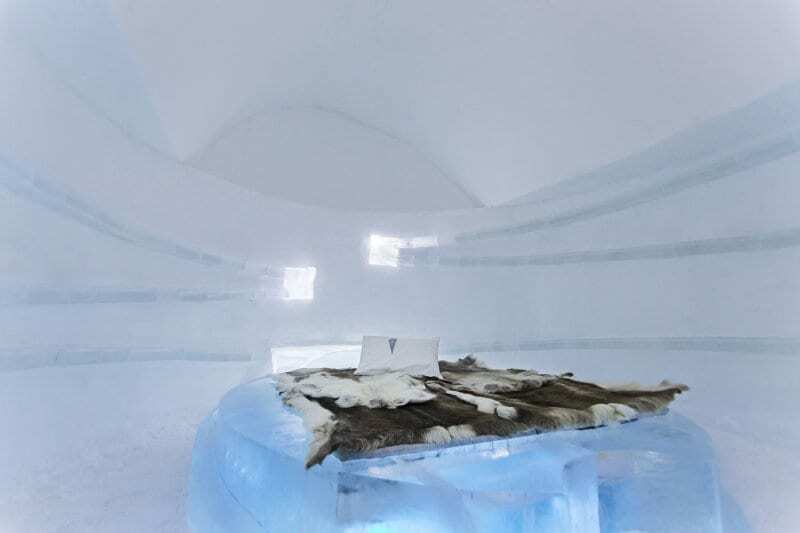 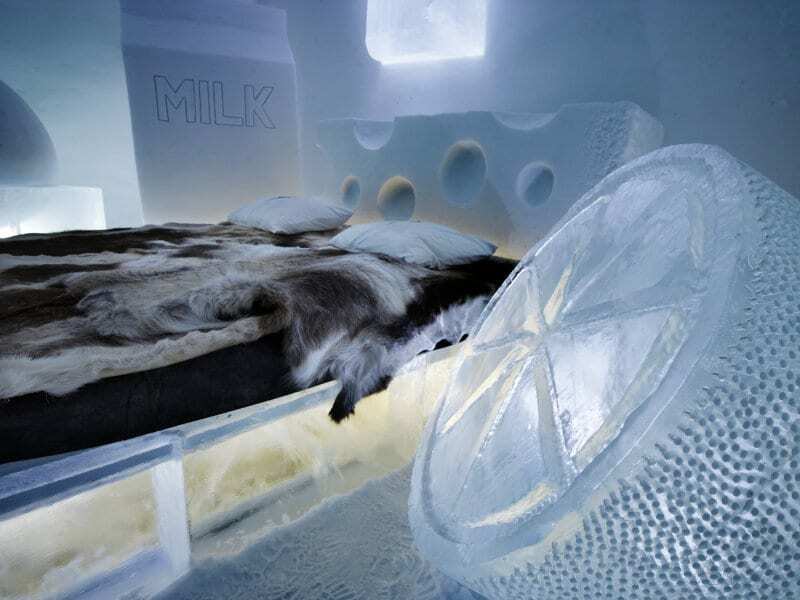 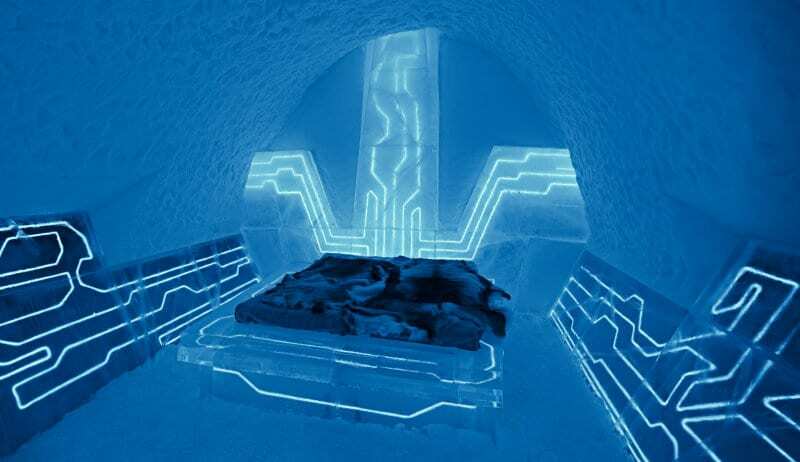 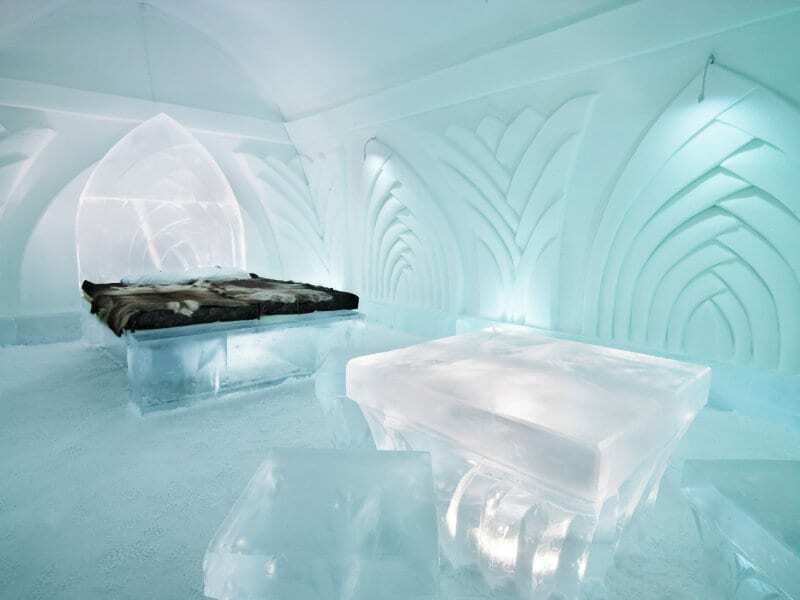 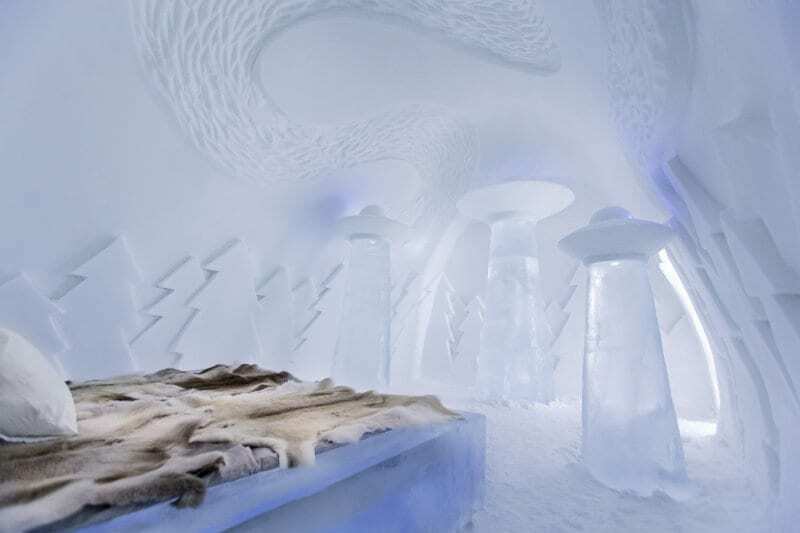 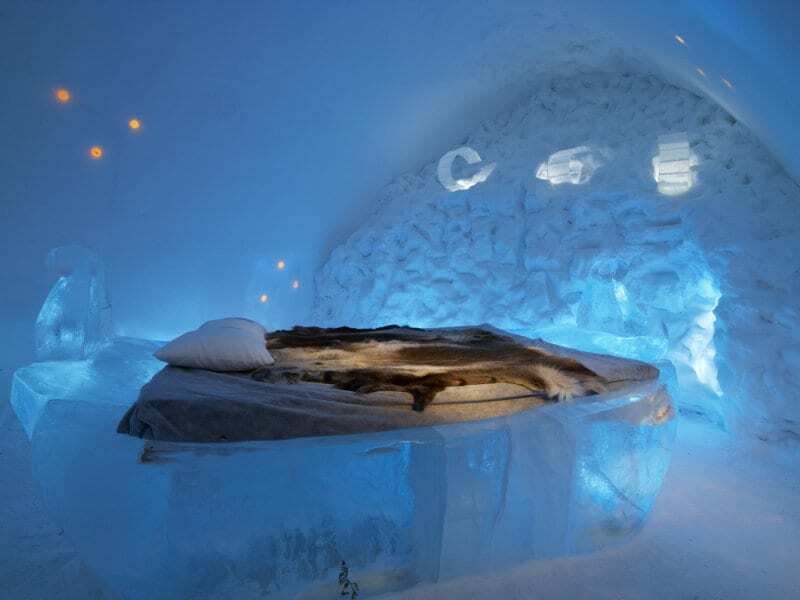 Book a room at ICEHOTEL now!